So, your baby boy has found the woman of his dreams? That's wonderful news. Congratulations. 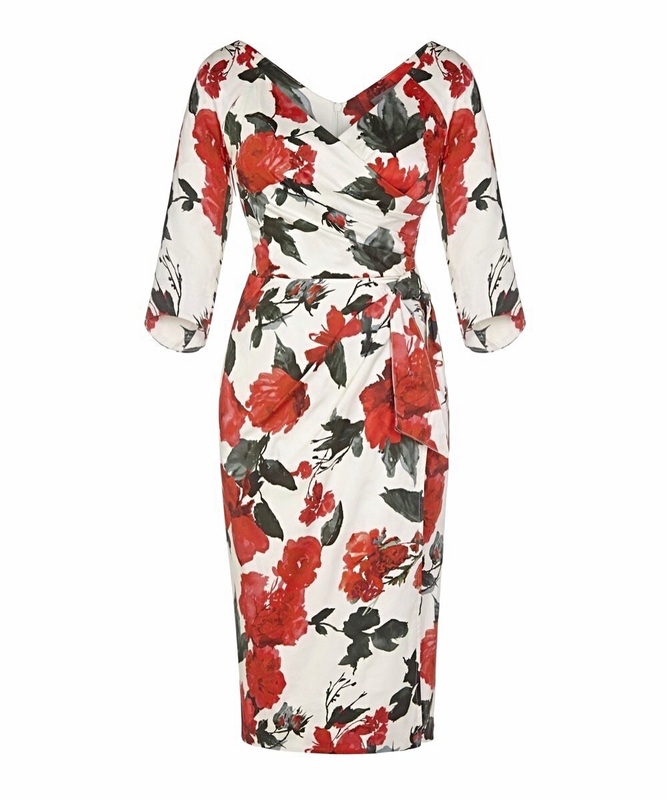 And you're starting the hunt for drop-dead gorgeous wedding guest dresses? Yes? 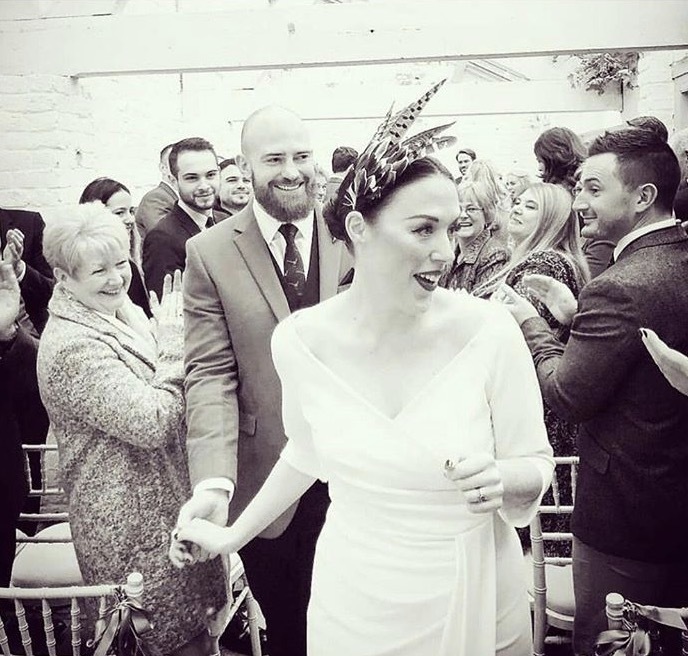 As the buzz begins around the hunt for the perfect wedding dress, finding suitable bridesmaid's dresses and the colour scheme for the flowers, I know that, as the mother-of-the-groom, it can be easy to feel a bit lost in the happy chaos. Where does the mother-of-the-groom fit in the scheme of the day? First of all, there’s the etiquette that comes with any wedding. This is, after all, the bride's big day. And, once she's happy with her choice, it's over to her mum – as the mother-of-the-bride – to choose her dress. And, not forgetting, the all-important hat. 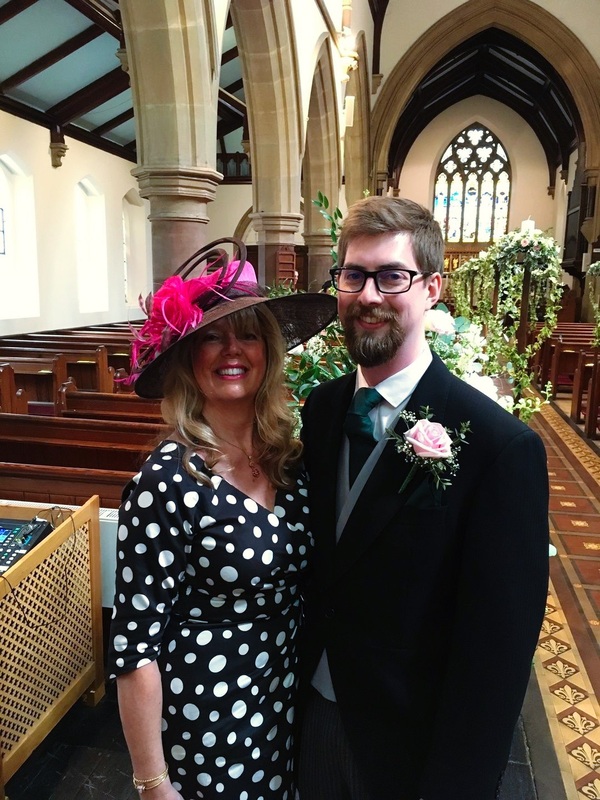 This is important for you, as the mother-of-the-groom, as experience tells me there’s a potential for much sensitivity about 'out-hatting' the mother-of-the-bride. Where to look for elegant wedding guest dresses? 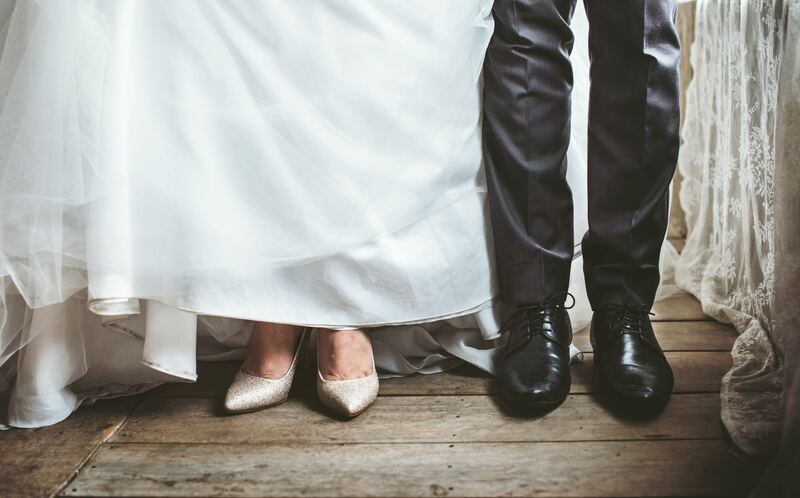 Such wedding etiquette and traditions, then, can see you being the last to choose what you'd like to wear – and being left with rail after rail of sour sherbert lemon, lacklustre lavender, crisp apple green and dull autumnal ochre, even for spring weddings. Add to this sugared almond of a colour scheme, the fact that when you start to search for wedding outfits for women, you'll be faced with a scalloped-edge sea of cropped bolero jackets and lace corsages. So much so that you'd be forgiven for thinking you'd fallen into a fancy dress shop. 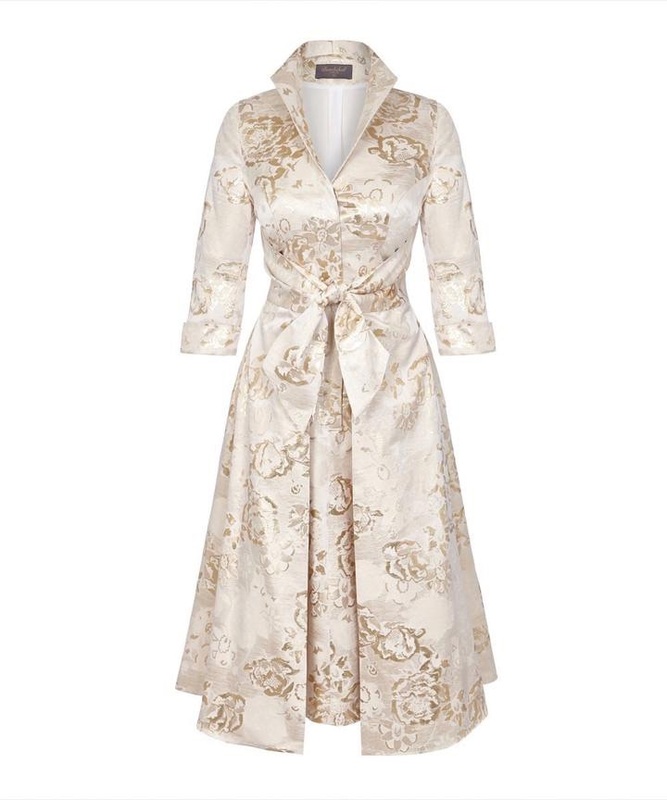 Here at Bombshell HQ, I think that the high street and many online stores would have you believe that, as the-mother-of-the-groom, this is all that's available. And I’m dedicated to letting you know that, when it comes to occasion dresses, it doesn't have to be like that. So, fear not. I’m here to take the strain out of shopping for mother-of-the-groom outfits, replacing any stress with a whole heap of glorious and a generous splash of va-va-voom. And – and this is vital – I’ll help you hold onto your sense of self – as well as your sense of style in the process. The many mothers-of-the-groom I've helped to dress over the years have taught me that their role isn't always an easy one. Hence the title of this post. Not only do you have to do a delicate dance around the etiquette of the day, but there may also be a plethora of family politics to negotiate. Are you divorced from your son's father, for example? Perhaps this will be your first chance to show the world that your head is held high and your smile is radiant as you rock out on the dancefloor in the early hours. All while he's woken by his 30-year-old yoga teacher wife – to tend to their screaming twin toddlers. Perhaps life has been more fun and enjoyable than the pressure to join the gym and shift those final pounds you promised yourself you'd lose before the day? I get it. And I celebrate it – and you. So what if the mother-of-the-bride is a slip of a thing? So what if you're faced with ex-husbands, their new partners and the weight of everyone's expectation? This is your chance to make an entrance that's both classy and fabulous, all while oozing quiet, assured confidence. It's your day to be you – the woman who raised the gorgeous groom. Who's quite rightly proud of her boy and is here to celebrate his union with the love of his life. So, what's going to make an impact in the midst of all these wedding guest outfits, with their fascinators and feathers? And what's going to make you feel fantastic? I believe, quite simply, that it's all in the cut. It’s in the colours and the understanding that as women, we have curves – some of which we love to show, and some that we're more comfortable to conceal. 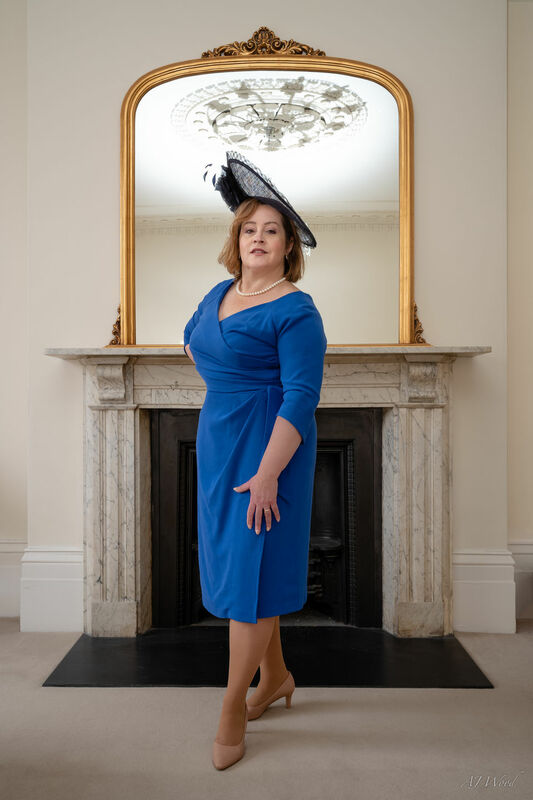 I founded Bombshell HQ because I couldn't find the right dress for my own curves, so – using what I’d learnt in my work as a television costume designer – I went ahead and designed one. I developed the hourglass shape you’ll find here on the site across all body types by creating balance within each dress. My drive? I wanted to create a dress that would become a woman's ultimate secret weapon. A friend introduced me to Bombshell as I was looking for an outfit for my son's wedding. 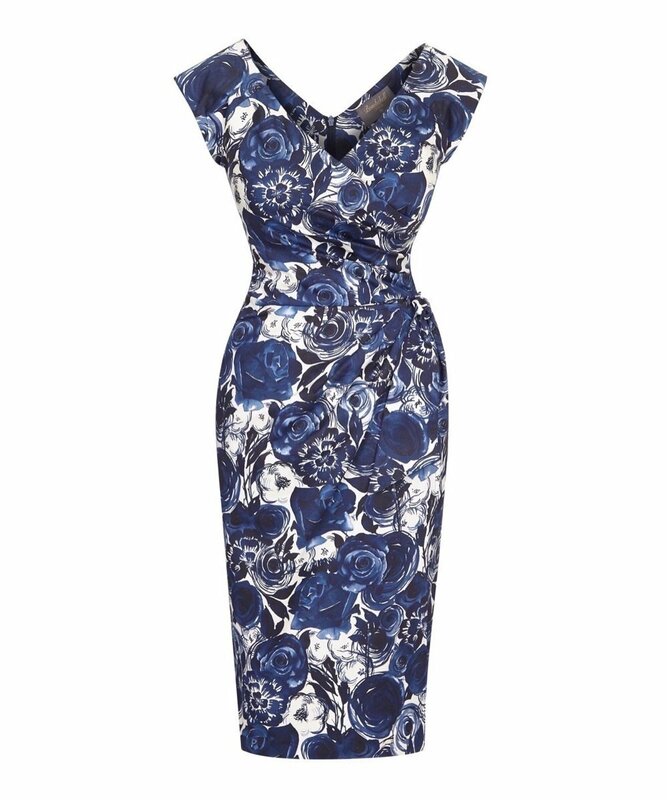 I’ve recently lost a lot of weight so wanted something that would be flattering to my curves but also hide the imperfections and this dress is perfect." The perfect dress for a winter wedding. I have always struggled with finding the right dresses for my shape, but I love Bombshell dresses, they make me feel all woman. I now have three hanging in my wardrobe. Confidence is integral to my design philosophy. 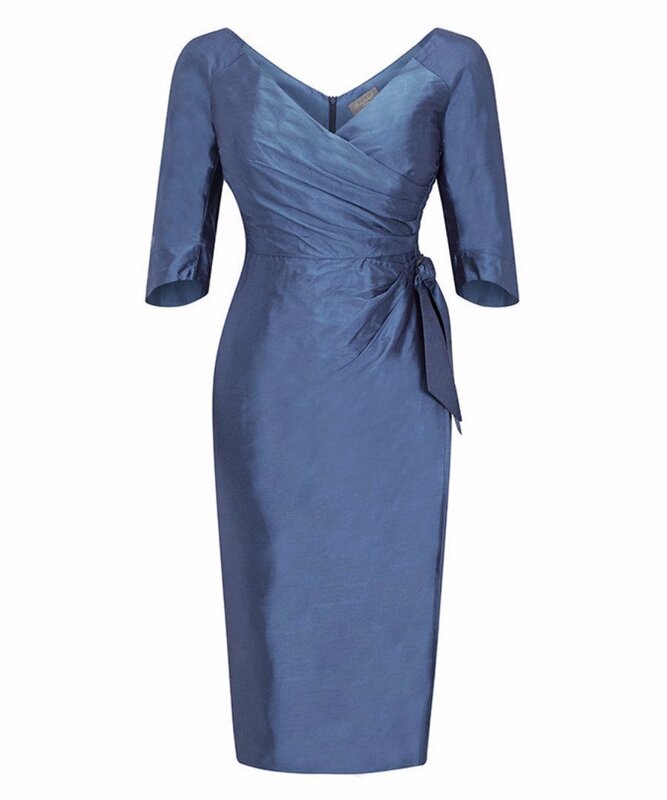 And, using the finest fabrics and British manufacturers ensures I can look after every detail of every dress, every step of the way. 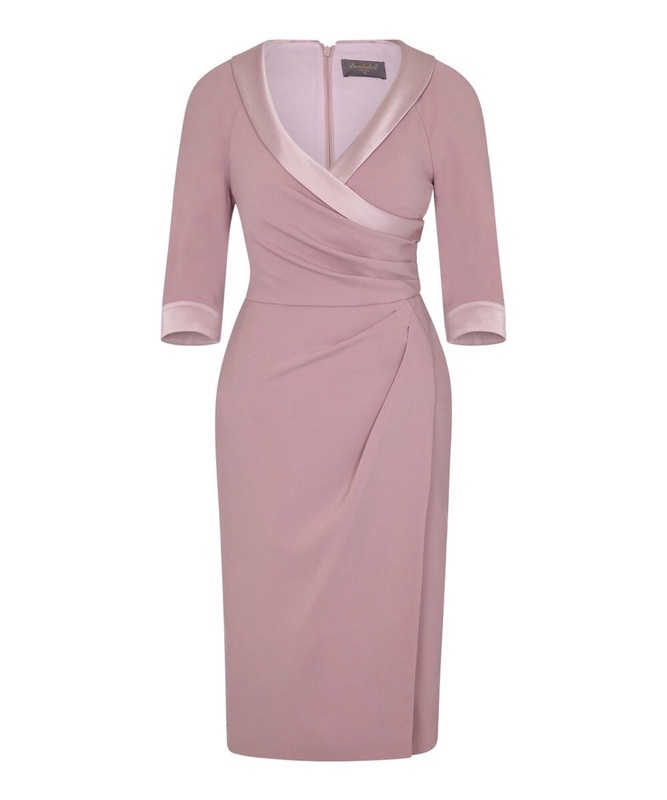 I'm proud to say that the Bombshell dress has become the 'go to' dress for many of my fabulous customers. It's wonderful to think that, in a Bombshell dress, they feel that they can take on the world. 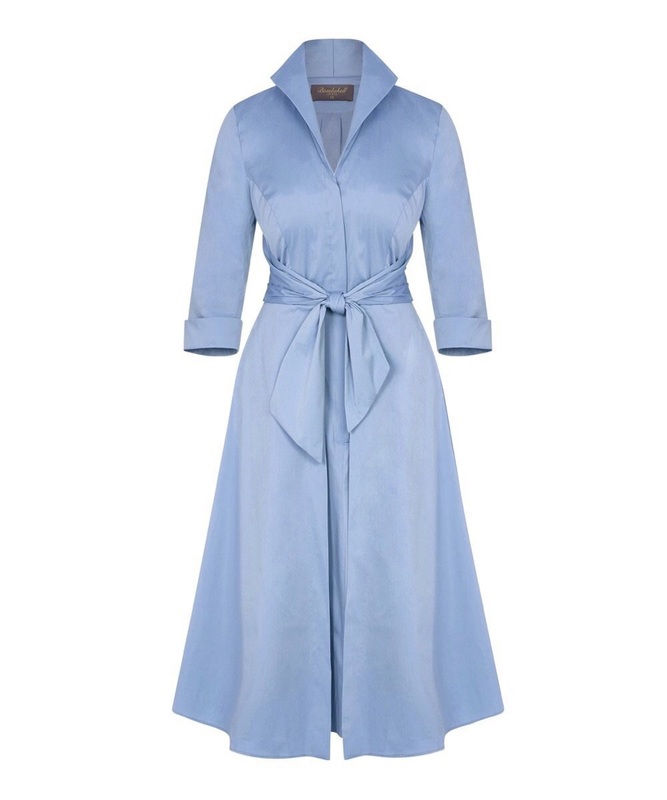 Unlike many of the wedding guest outfits you'll find both on the high street and online, you'll be able to wear your Bombshell dress time and time again. That's because I don't do boleros. And I don't make lace corsages. Instead, I create dresses that you can dress up – or down – with ease. Dresses that scoop, skim, drape and flatter. The exquisite shearing panels of my mother-of-the-groom outfits will emphasise your curves, while my choice of sleeves – yes, actual sleeves – will free you from the constraints of the toning cashmere cardigan. All while leaving enough room for you to enjoy your wedding breakfast – and then dance the night away. 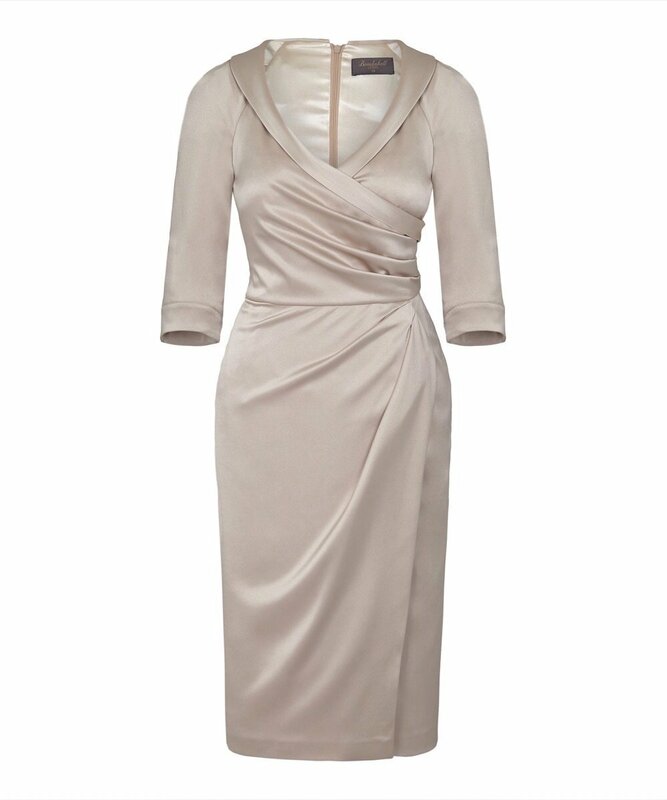 Are you ready to explore my selection of dresses for wedding guests? Are you ready to take your place as the mother-of-the-groom with confidence? Step this way. 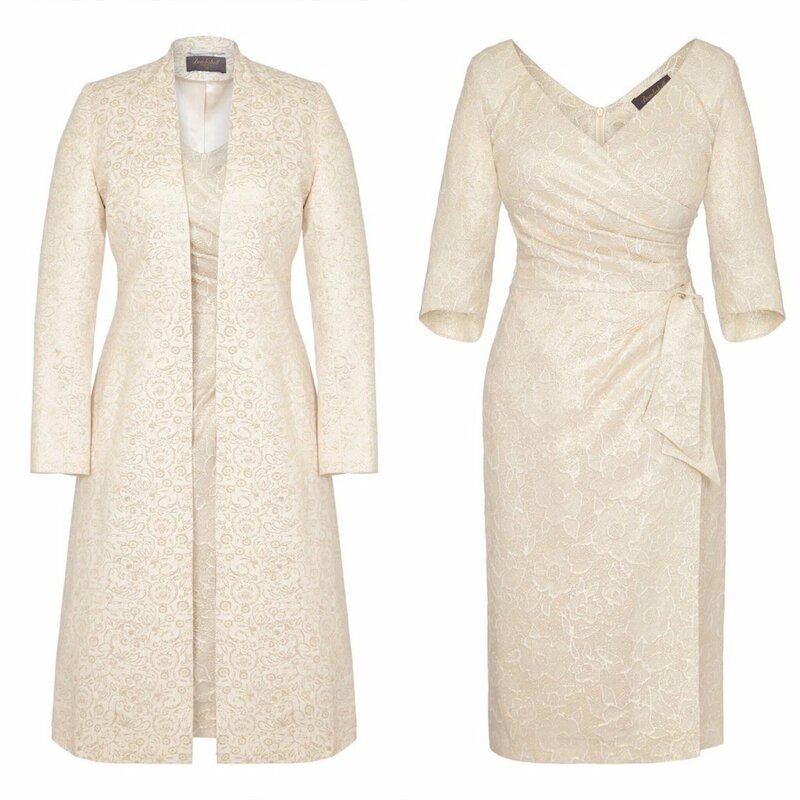 Take me to the dresses - shop our full collection of mother of the groom dresses. It's the season for... Bombshell dresses! With Christmas fast approaching it's the perfect time to add some party frocks to your wardrobe! Former Royal Lady's Maid Alicia Healey has picked her five favourite dresses, perfect for every festive event. She is a woman of many talents and has also released a new book 'Wardrobe Wisdom' guiding you on how to dress for every occasion from an interview to a royal garden party at Buckingham Palace. I would highly recommend having a read, I've learnt so many hints and tips! Forest green was one of the most popular colour choices at the recent royal wedding this year. It’s a great colour for brunettes and the perfect choice for a Christmas Mother of The Bride. 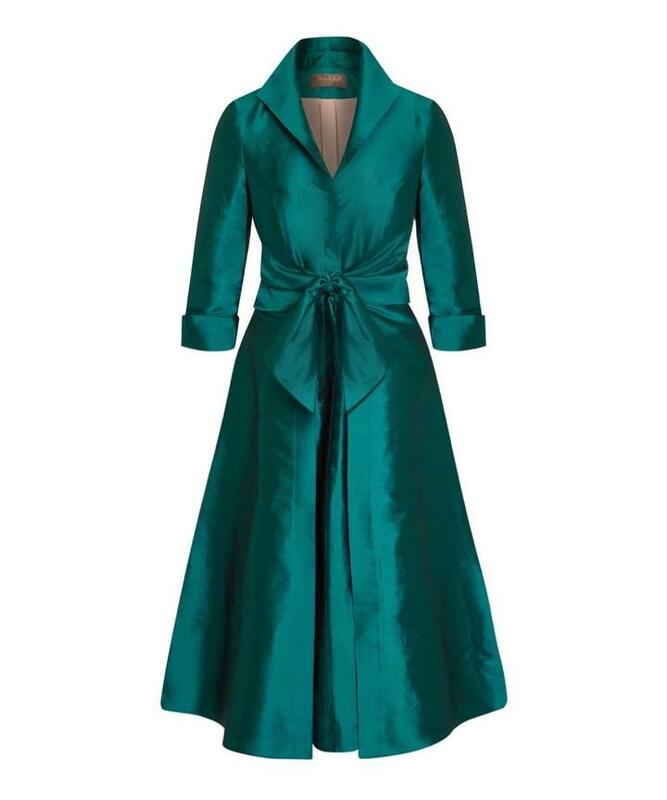 I’ve styled Bombshell’s Confident dress in dark green with a feathered hat by Bundle Maclaren, available to hire from The Cotswold Hat Club; green velvet clutch and heels from L.K. Bennett; and vintage star earrings by YSL available from Vestiare Collective. All shades of red have to be the most popular choice for the festive season. If you like your reds a little more mature and discreet, as opposed to a standout scarlet, then this mulberry hue is the one for you. Pictured here is the Scoop Neck Elliptical Midi Skirt Dress in wine, accessorized with a matching pill box hat and kitten heels from Phase Eight, clutch from Hobbs and vintage earrings by Jennifer Gibson. It wouldn’t be Christmas without some burgundy velvet. 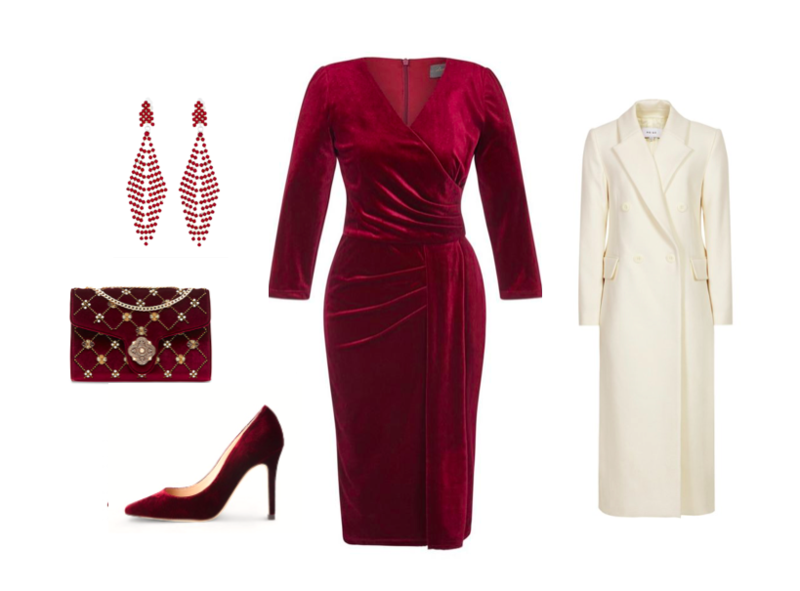 I’ve picked out the Stretch Luxe ¾ length sleeve in wine velvet as my top choice for a Christmas party frock, accessorized here with matching velvet heels by L.K. Bennett, bag by Dune London, earrings by Susan Caplan and a winter white coat from Hobbs. The Midnight Tartan on this Scoop Neck Elliptical Midi Skirt Dress is a great choice if you want to dress up on Christmas Day. I’ve accessorized it for a trip to church on Christmas morning – winter coat and faux fur scarf by Hobbs, bag by Aspinal of London, gloves by Mulberry, heels by Rupert Sanderson and earrings available at Vestiare. You can’t wear too much glitter on New Year’s Eve! If you have a fancy ball to go to over the festive season, this Gold Sequin Gown will put you at the top of the best dressed list. Glam it up to the max with a glitter clutch from Wilbur & Gussie, snake hoop vintage earrings by Susan Caplan and sandals by Dune London.